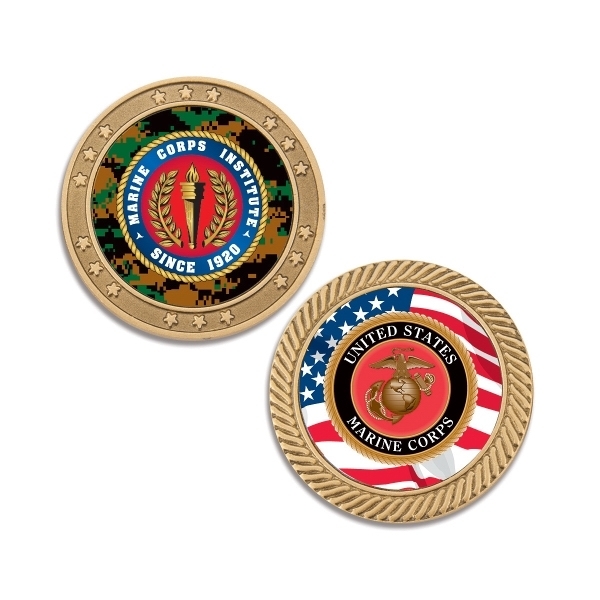 This metal coin has an antique gold finish and is 1.75" round. It has a star pattern on one side and a swirl pattern on the other. The artwork area consists of a laminated full color printed digital label on 2 sides. These are great for awards, sports teams, trading, flipping, keepsakes, fundraisers, party favors, souvenirs and much more. Printed and assembled in the USA.